Doris Morris Trexler, 90, of Salisbury, died Saturday, September 8, 2018, at the Laurels of Salisbury. Born September 21, 1927, in Rowan County, she was the daughter of the late Jerome Morris and Mary Cook Morris. A 1944 graduate of Boyden High School, she worked in Hospitality at Rowan Regional Medical Center. Doris was a dedicated mother, grandmother, and great-grandmother. Her family meant the world to her. 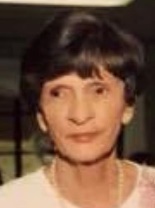 She spent many years as a caregiver to her grandchildren. She enjoyed the simple things in life such as a Hershey Bar, crossword puzzle, or murder mystery novel. She will be remembered for her sweet attitude, strong will, and loving smile. Preceding her in death was her daughter, Carolyn Morgan, and her sister, Evelyn Rabon. Those left to cherish her memory include her daughter, Barbara Myers (Dwane) of Cleveland; grandchildren Nicholas Myers (Victoria) of St. Petersburg, Florida; Ashley and Matthew Myers of Salisbury; Raney Roberson, Brooke Rainey, Camille Morgan, Claire Morgan, and Matthew Pacheco of Salisbury; great-grandchildren Kara and Cooper Roberson of Salisbury; Hudson Gantt of Salisbury. Service: 1 p.m. Wednesday, September 19 at Rowan Memorial Park Chapel in the Pines.